Sabrina Macias has spun her passion for diversity into a successful PR career. Born in Argentina and raised in Toronto, she kicked off her communications career in New York City as the director of PR for Prestigio Recordings, an indie Latin music label distributed by Sony Latin. Hooked on multicultural marketing, she landed her first agency gig with UniWorld Group, where she focused on black and Hispanic PR. Work at a string of top agencies followed, including DeVries Global, as it launched its multicultural practice with anchor client Procter & Gamble, and later Hispanic sports and entertainment agency RLPR, where she launched its New York office. 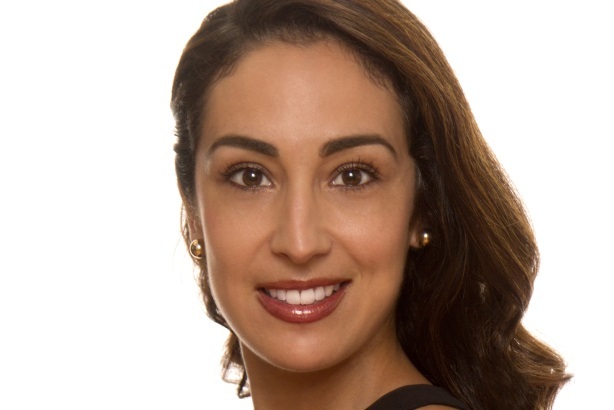 But it was at Edelman where Macias really hit her stride, rising to VP to lead the agency’s multicultural marketing practice and growing her team from three people in New York City to 27 across four offices, with annual revenues of more than $4 million. She developed multicultural marketing and diversity and inclusion strategies for the likes of Starbucks, Pepsi, and Microsoft and grew the client roster five times over. Moving in house, Macias led marketing, multicultural, diversity, and philanthropic communications for NASCAR through three seasons. Tasked with attracting younger and more diverse audiences, she created the racing organization’s first Hispanic marketing initiative, including a digital influencer program, and managed the launch of the first U.S. broadcast of the NASCAR Mexico races. Hispanic audience ratings grew by 40%. She parlayed that sports acumen into a new role as head of communications at DraftKings, a leading fantasy sports company, where she now leads all global consumer-facing and internal communications at a time in which fantasy sports groups face a number of legislative battles. She takes a hyperlocal grassroots approach, engaging with the community as always. Macias also mentors young PR pros of varying backgrounds and introduces the communications industry as an exciting career opportunity wherever she goes. While at Edelman she spearheaded a partnership with a local high school that reinforced the potential boon of bilingualism to a career. She takes her own young son all over the world with her, exposing him to new languages and cultures. - She speaks at conferences like Hispanicize and has held memberships at PRSA and HPRA (Hispanic Public Relations Association). - Her teams have earned such accolades as the PRWeek Multicultural Marketing Campaign of the Year (Edelman and Microsoft), PRWeek In-House Team of the Year honorable mention (NASCAR, 2014; winner in 2015), and Diversity Distinction in PR Award (NASCAR: Best In-House Diversity initiative, runner-up, 2014). - Macias served on former NYC Mayor Mike Bloomberg’s Latin Media and Entertainment Commission, a group responsible for Hispanic events and advancing diversity within media and entertainment.